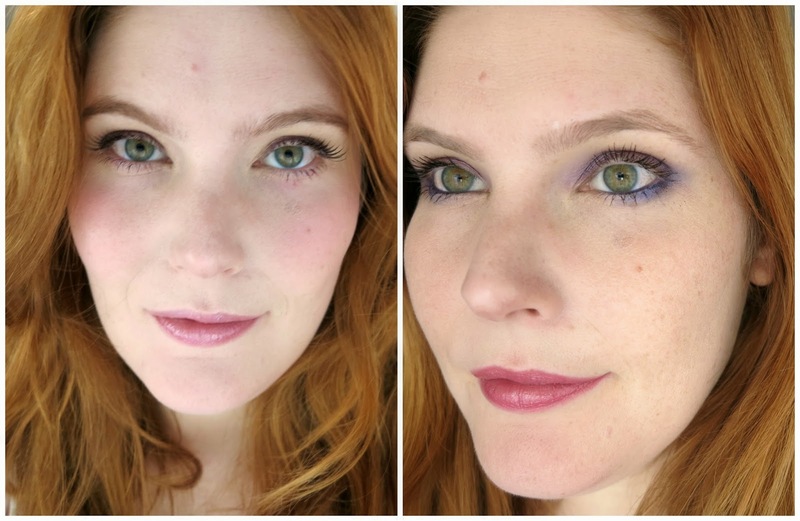 Beauty world through cat's eyes: Radiant orchid...and so on! I suppose it´s the thing when you have green eyes and any shop assistant at a makeup store strongly believes that you need : a purple mascara, eyeliner, eyeshadow and eye pencil...because "It is soooo flattering!". So they say - so I buy them! 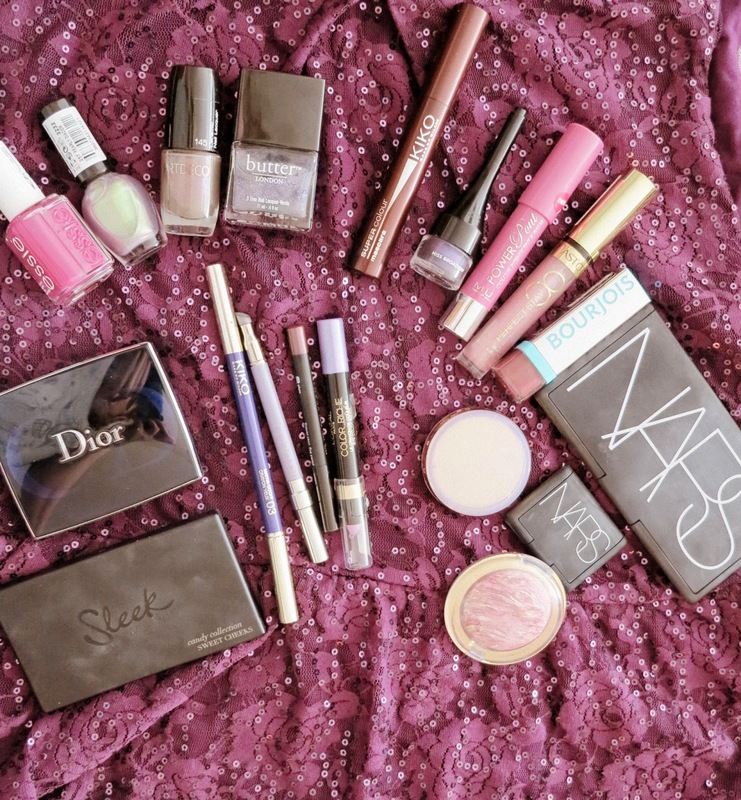 XD This year I have just add at my stash an eye colour pencil in lovely Lilas by L´Oreal, while I´ve owned and used all the rest of the eye products. 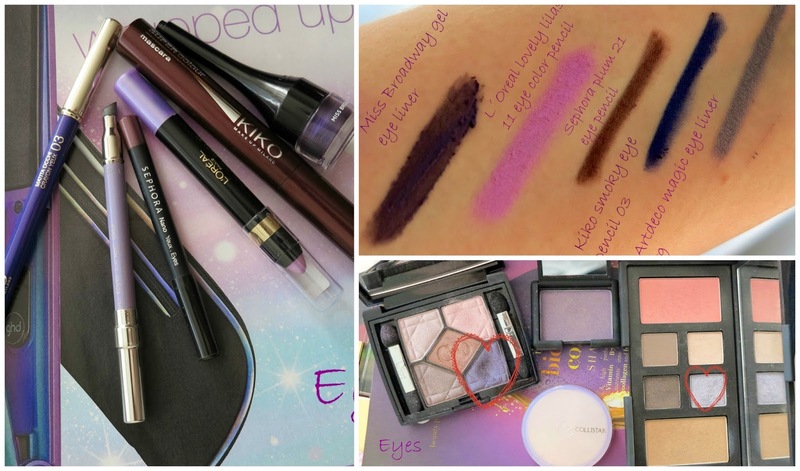 Top eye product: Kiko smoky eye pencil 03- a deep purple with blue undertone, I love it on the inner rim of the eye. Flop eye product: Artdeco magic eye liner 59- this pencil has absolutely no pay off on the eye lid - such a pity because it is hard to find such a light Lila tone in the eye pencil department. Nothing new this year, I own only two purple-like blush products: Dolly Mix from Sleek Candy Collection and Golden Rose Terracotta Blush On 02. 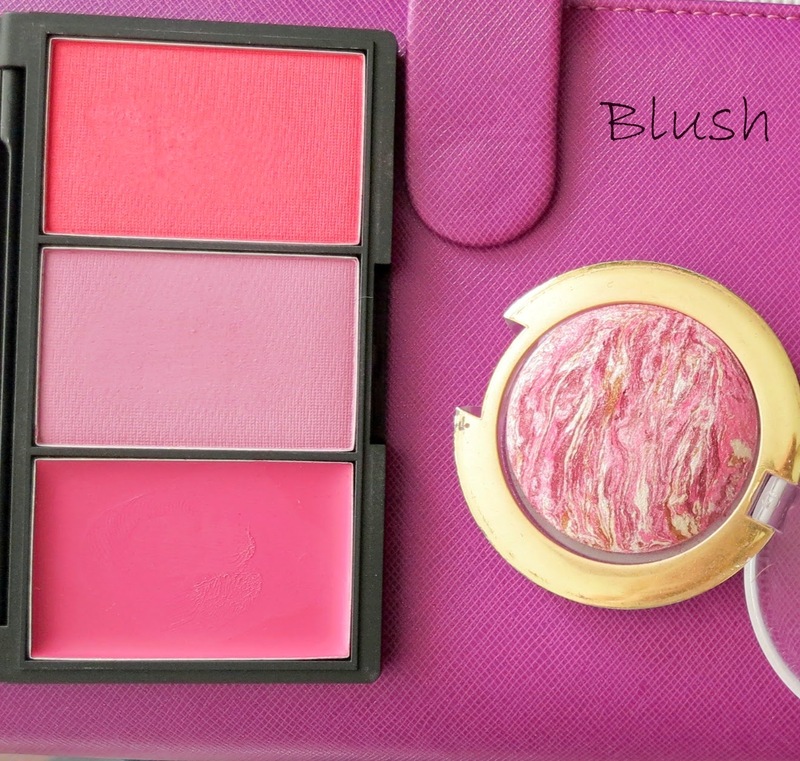 Top blush: Golden Rose! This blush was a lovely surprise! The texture is so easy to blend and has a very subtle shimmer which lasts for hours. Nothing really new on this tone lip products too, not really because there was not new purple lipsticks - hello, Mac Heroine- but I really think they clash too much with my hair colour. Top lip product: worth to mention is Bourjois Shine Edition in Mauve Tabloid 25 - a sheer creamy texture which moisturises my lips as well, the shade is not too dark and don´t clash with my red hair. Great! My only new entry for nail polishes in 2014 is Essie´s Big Spender - not really a purple shade but a magenta-hot pink tone. So, as you can see despite this year´s Radiant Orchid theme, I haven´t shop so much or being influenced by it. What about you? did you buy Radiant Orchid´s products? or were you not bother at all? Let me know in the comments below! il trio di Sleek é carinissimo e pigmentatissimo ;) si ho rosicato anch´io dietro a Cattleya ma le spedizioni di Nabla all´estero sono un po´carette e per ora ho desistito...non so ancora per quanto!!! The Essie nail polish looks lovely, I love the Essie polishes. Essie polishes are my favourite too!great price-quality! Love Essie nail shade! I love Essie polishes. sugli occhi, riesco a sfumarlo senza creare danni...ma sulle labbra é davvero dura!Non sono proprio una tipa da Mac Heroine!! !siiii il rossetto Bourjois é un amore!!!! Tag | Top 5 spring nail polishes +1!